More Reasons Than Ever to Stay at Kingston's Historic Inns! There’s something to be said about staying at one of Kingston’s historic Inns while visiting this great city. 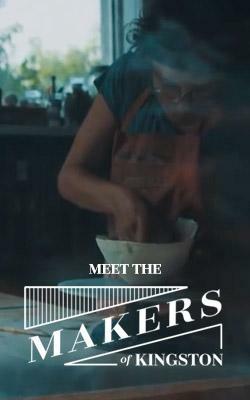 In them, you might not find modern conveniences like pools or fitness facilities, but warm personal service, amazing breakfasts and great local knowledge about Kingston and the 1000 Islands and area, they more than make up for in quintessential authenticity. And now, experiencing the rich history that only a timeless Inn can offer is made even more enticing with a new promotion that launched this month! For a limited time, when guests book a stay at Green Woods Inn, Secret Garden Inn, Rosemount Inn & Spa or Frontenac Club Inn, they will receive a complimentary olive oil pairing, courtesy of Kingston’s own Kingston Olive Oil Co. But that’s not all! 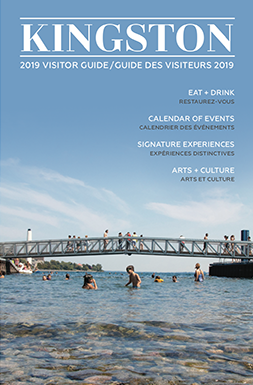 Additionally, guests of these prestigious properties will also enjoy a $5 discount at the Fort Henry Battery Bistro restaurant (with the purchase of $25 or more, validated at the Grape Escapes wine tasting venue at the Fort), and a 15% in-store discount on Kingston Olive Oil Co. products! Discover the history of these wonderful Inns below, and visit them the next time you find yourself in Limestone City! The Frontenac Club Inn, located right in downtown Kingston, is one of the city’s many historically designated limestone buildings and was constructed in the 1840’s. Today, the Inn stands at the corner of King and William Street, a seemingly continuous building. But The Frontenac Club Inn is in fact three separately constructed buildings, with the second part built in 1845 for the Bank of Montreal where it remained until relocating across the street in 1906. The original bank building was then sold to the Frontenac Club, established by leading Kingstonians, garrison officers, faculty of Queen’s University and the Royal Military College, along with members of the 14th Battalion (Princess of Wales’ Own Rifles) Officer’s Club. A look at the Frontenac Club’s guest book provides an informative perspective of Kingston’s history, welcoming legendary guests and national heroes from around the world! Eight of the guest rooms at the Inn are named after former guests and include Alexander Graham Bell, the great inventor; American poet and Pulitzer-prize winner Carl Sandburg; General Arthur Currie, famed military general; Titanic survivor Lady Duff-Gordon; Sir Sanford Fleming, Canadian engineer and inventor; The 10th Prime Minister of Canada, William Lyon Mackenzie King, noted politician and regular guest at the Club; and Opera singer Mary Gardini. In the early 1900’s, under the direction of the Frontenac Club, the space between the two existing buildings was constructed to house entertainment rooms, notably adding a bowling lane and billiards room. The facade of the new building blends perfectly, thanks to the use of limestone unearthed from the ground beneath the buildings! While The Club was a major social scene in Kingston, it closed its doors in the early 1930’s because of the Depression. In 1935, the Club was sold to the Vosper family, and remained with the family for the next 60 odd years. During that period the building was converted into apartments to host Kingston writers, artists and students. Three of the guest rooms at the Inn are named after those who lived in this eclectic building, and include writer Michael Ondaatje, singer Colleen Peterson and long-time resident Nancy Chisolm. Renovated by Beare Weatherup and Susan Shaw, the fourth owners of the building in the past 156 years, the Frontenac Club Inn was established in 2000. 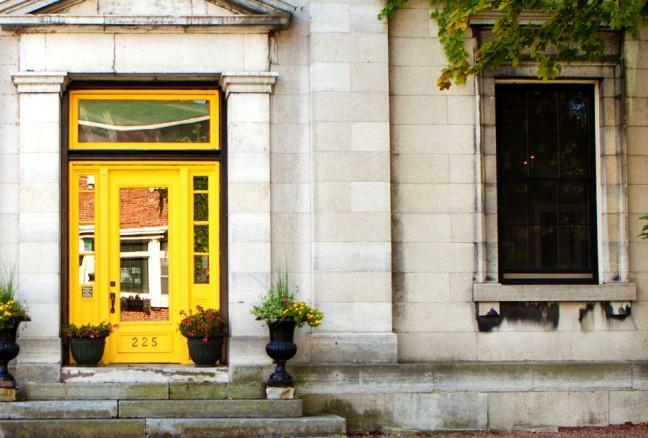 Located in Kingston’s historic downtown, the Frontenac Club Inn offers visitors fifteen guest rooms, including delicious breakfasts, in a relaxed and comfortable setting. While Kingston has changed considerably in the last 150 years, the limestone walls of the Frontenac Club Inn carry on into the 21st century better than ever! 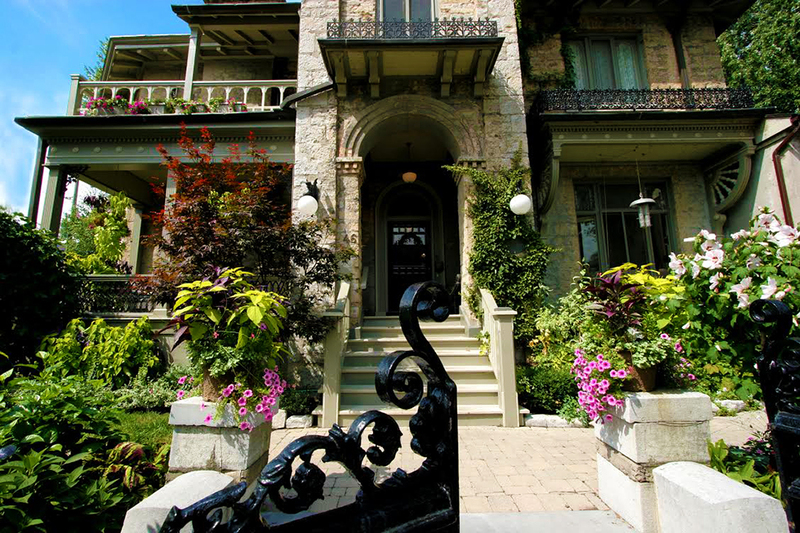 Built on a three-acre lot in 1888 by leather merchant and furrier John McKay, The Secret Garden is centrally located in the historic Sydenham Ward, blocks from Queen’s University, great shopping and restaurants, and the beautiful Lake Ontario waterfront. McKay called the home Argyle Place, and built it in the Queen Anne Victorian style with a whimsical turret facing Sydenham Street United Church with it’s graceful spire. The McKay’s attended this (then) church and the family liked to sit on the gracious porch on Sunday afternoons. Their daughter, Helen McKay, was married out of the house with the ceremony at the church and a lavish reception following at Argyle Place. The original stone wall that surrounded the acreage can still be seen today although the acreage was sold off as Kingston grew and more homes were built along William Street. Following the McKays, other notable Kingston families occupied the home – the McCulloughs, the Hessians and the Taylors, before it was purchased and renovated by John and MaryAnn Baker in 1996 and transformed into The Secret Garden B&B Inn. Offering historic charm with modern comforts you come to expect from a 4½ Star Canada Select Inn, The Secret Garden provides their guests with central air conditioning, private baths, and a gourmet style breakfast to ensure that their stay is a memorable one. Visiting the guest parlour is like being transported back in time, featuring turret window seating, 1830’s fainting couches and parlour chairs set around the original, fully-restored fireplace. The flicker of candlelight and soft music welcome guests to a full, delicious breakfast served in their beautiful oak panelled dining room. Menus vary by the day, but can include chilled juice, seasonal fruit dishes, delicious entrées, homemade baking, freshly brewed coffee and a selection of great teas. The Secret Garden’s impressive library offers a quiet retreat in which to curl up with a good book by the fireplace, or to tickle the ivories on an authentic 1850’s upright piano! While steeped in old-school traditions, The Secret Garden still offers their guests secure wireless internet service, and complimentary computer access – something chain hotels often overlook. 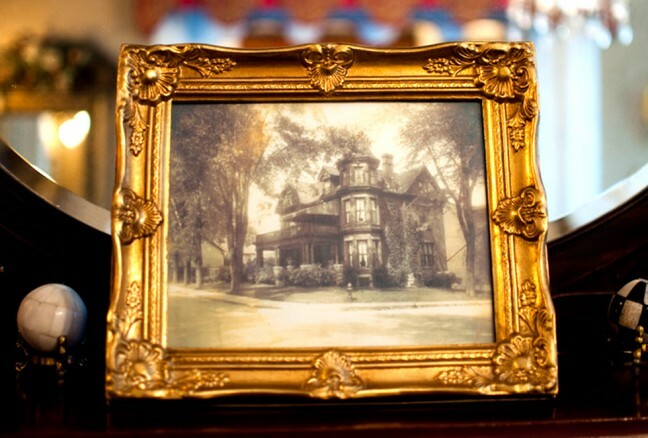 As you enjoy the Inn’s splendour, you will also appreciate the architectural marvels from the past. From the stained glass windows and antique fireplaces to the plaster arch ways, The Secret Garden has been fully restored to its former glory and elegance. They simply don’t make things like this anymore. The porch today is an oasis for visitors; a romantic porch swing, comfy wicker rockers, tinkling wind chimes and the burbling waterfall to the pond create a relaxing retreat in the middle of the Old Stones neighbourhood. The award winning garden was designed and installed in 2004, winning the Canada Blooms Mayors Award in 2010. Today the Inn is visited by guests from around the world. Its charming ambience and elegant style make for a restful and delightful vacation. 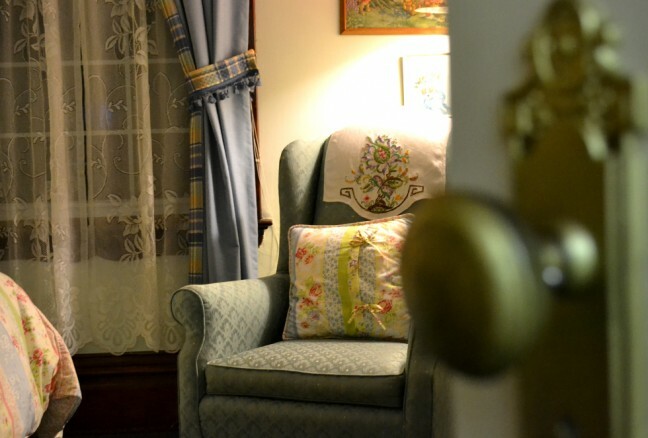 History, romance, and elegance are all hallmarks of The Secret Garden Inn! Read more about The Secret Garden Inn on The Lobby. Opened in 1990, The Rosemount Inn is an enchanting 1850’s Tuscan villa located in the heart of Kingston’s downtown ‘Old Stones’ district within walking distance of the beautiful waterfront. You will be hard pressed to find other accommodations that boast as diverse a range of awards and accolades as The Rosemount Inn, which has received commendation for their heritage restoration, gardens, spa services, breakfasts and hospitality. The guest rooms here all boast private baths, ornate castings, arched leaded windows and period antiques, creating an atmosphere of comfortable luxury. Be transported through time and stay in the Rosemount Master Bedroom, where guests are treated to a magnificent four-poster bed, extra-deep bathtub, and bright windows that overlook the stunning gardens. Other rooms at The Rosemount Inn include the Sir John A. Macdonald (named after Canada’s first Prime Minister, and one-time neighbour of the original Rosemount owner), The Cloverdale (where you can curl up by the fireplace in vintage wing-backed chairs), and The Tower, which features – you guessed it – a private balcony and tower that guests can enjoy breakfast on during the summer months. One of Rosemount’s unique attributes is their on-site Vinotherapy Spa, which offers lucky guests a tantalizing menu of services featuring wine-inspired products. The d’Vine Vinotherapy Facial is an exclusive melange of powerful grapeseed and red wine extracts, and includes a blissful massage of the face, neck, scalp and shoulders! Spa guests have the option of adding just a little more to their service, like with a Silky Lemon Chiffon or Pinot Noir body polish that removes dull, rough surface skin and leaves the body refreshed and revitalized. Truly, a getaway or business trip to the Inn is no ordinary experience, and is best enjoyed by those who have a little adventure in their souls. While built in the 1850’s, The Rosemount Inn’s facilities are anything but vintage, offering modern amenities like WiFi, phones, and an answering service in all rooms. Set in its own grounds, Green Woods Inn presents its guests with a relaxed atmosphere in a beautifully restored country home. Providing modern convenience in an atmosphere of culinary delight and luxury, Green Woods Inn is situated on the world renowned Rideau Heritage Route (the east side of Kingston) and close to Fort Henry, where the majestic Rideau Canal and the St. Lawrence River meet Lake Ontario. The story of Green Woods Inn began when George Baxter emigrated from Dundee Scotland to Kingston in 1818 to become the principal of the Royal Grammar School. After purchasing 400 acres, he built Cataraqui Grange out along Highway 15. After the rebellion of 1837, George lost his job as he was the brother-in-law of William Lyon Mackenzie (grandfather of Prime Minister William Lyon Mackenzie King). Upon the marriage of his son Peter to Grace Baillie, George built them a house on what is now Green Woods Inn (Circa 1850) and called it Maple Close. Maple Close was passed along to future generations of the Baxter clan: Peter and Gracie’s son James Baillie Baxter resided at Maple Close Farmhouse after his marriage to Margaret Hester Davis. In or around 1910, the property was extended to its present size using lumber milled from maple trees taken from the farm. Over time, James and Margaret had four children: Florence Helen, William Cecil Sharp, Ethel Davis, and George Young. Upon his marriage to Ada Mable Wiltse, William Cecil Baxter took over Maple Close, and had two children: Noreen Baxter Belfie and Margaret Baxter Cochrane. After Cecil’s death, Ada Baxter sold Maple Close to Reg Greenwood in 1954. The Greenwood family (from whom the Inn was named) lived in this stunning home from 1954. Although many repairs and renovations have been undertaken over the years to restore the home to its former glory, the fundamental shape and elevation of the building has remained unchanged since 1910. The warmth, charm and character of this wonderful Victorian home are immediately apparent upon entering the front door where a warm welcome awaits its guests. The feeling wellbeing upon entering the Inn is what present owners Nigel & Tessa Dearsley call ‘the magic of Green Woods Inn’. With luxurious bedrooms, a private guest lounge and a charming breakfast room overlooking the beautifully-maintained gardens, Green Woods Inn is one of Kingston’s best kept secrets. While the Inn itself simply permeates history, you’ll find modern conveniences like air-conditioning and complimentary WiFi and parking, making the decision to pull the trigger and experience a little bit of history that much more appealing. Enjoy all that Green Woods Inn has to offer – from their finest guest linens, to their freshly prepared breakfasts made with local organic ingredients, it’s obvious that Nigel and Tessa want their guests to be as comfortable in their stay as possible. Read more about Green Woods Inn on The Lobby!